I Found the Coolest New York City Decor to have at Home! The Coolest New York City Home Decor Stuff! “Start spreading the news….” I am here today to proudly show you the most beautiful, cool and unique New York City decor pieces for your home! 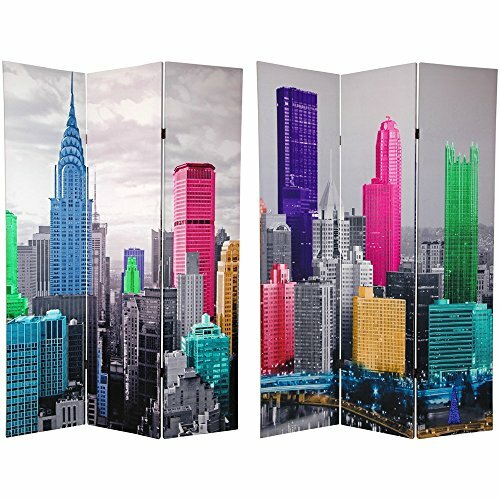 As a proud New Yorker at heart (now living in Florida), I present to you and all other New York lovers, the coolest New York decorations for the home, including gorgeous New York bedding, gorgeous posters, and prints, cool New York room dividers, awesome Empire State building statues and much more! 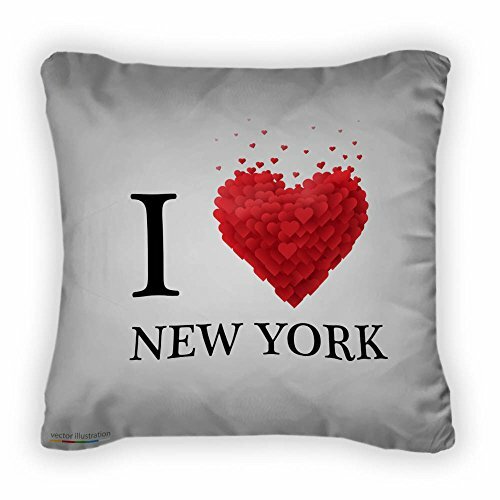 *How cute is this ‘I Love New York’ throw pillow? Are you ready to make your home look just like New York City? 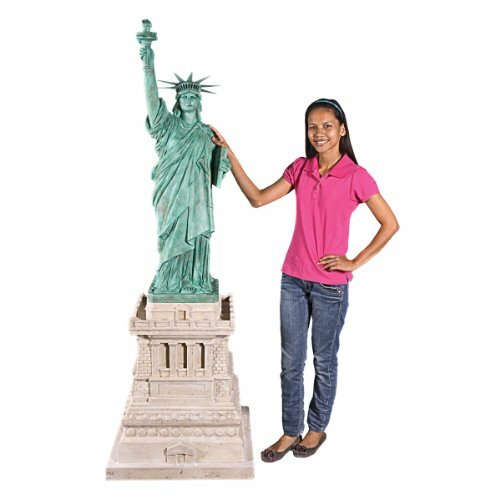 I have to start my selections of New York City home decor pieces with this gorgeous and very unique Empire Statue building bronze statue! It is a 38″ tall statue, so it’s fairly large! It is extremely high-detailed and was hand-finished using real crushed stone. Can you imagine having this piece by a window? Stunning Statue of Liberty Wall Statue! Look what I found New York city lovers! A gorgeous Statue of Liberty lady wall statue! Look at all the beautiful colors when the sunlight hits it! I cannot think of a better gift idea for a proud New Yorker! 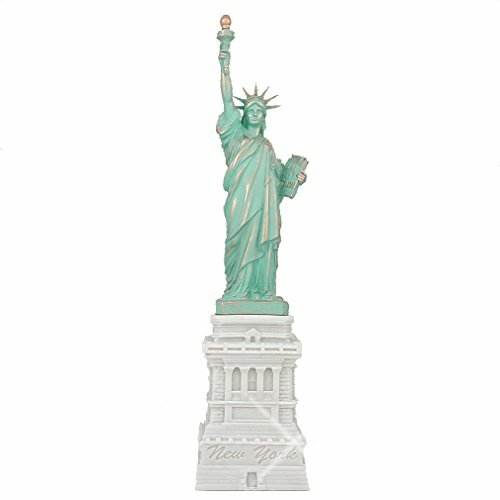 Of course, when we talk about New York decor we also think of The Statue of Liberty! I just found this very cute and very affordable replica of the Lady Liberty for sale! She stands 15 inches tall and will look amazing in your home-office too! A HUGE sculpture of the Statue of Liberty for sale! Your home is going to look so cool!! Stunning New York City Bedding! How about creating a gorgeous and very impressive New York city bedroom? This is the most beautiful New York city at night duvet cover set! It’s so realistic that you can almost hear all the New York sounds at night! I love the lights and the colors! It is also a high-quality duvet cover, made from 100% soft Egyptian cotton. You will also get the beautiful pillow cases and pillow shams. 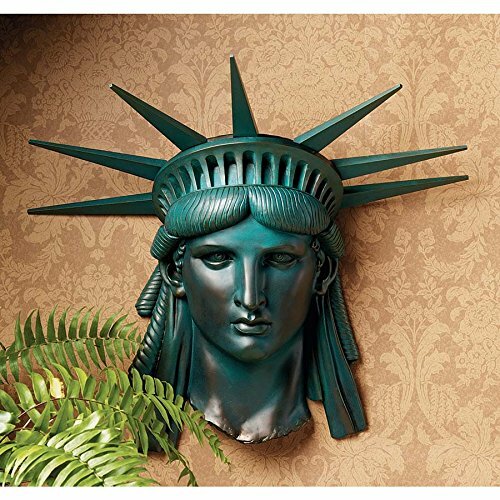 Gorgeous Statue of Liberty Wall Decal! What better way to make your living-room or bedroom look just like New York city than by adding a beautiful Statue of Liberty wall decal? I love the Statue of Liberty and this wall decal will look amazing next to your couch, behind your bed or in your home library! What is even greater about it is that you can re-use it for up to 200 times! 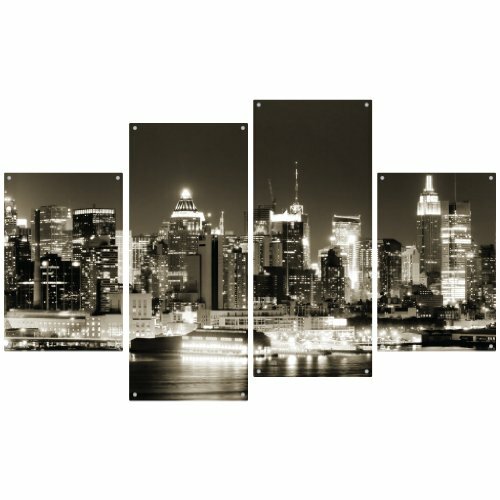 Stunning Manhattan at night wall decor pieces for home! Will make your living-room look just like Manhattan at night! Cool New York City Home Decor! How gorgeous and very creative is this ultra-cool New York city skyline room divider? I love the colorized buildings among the black and white ones! 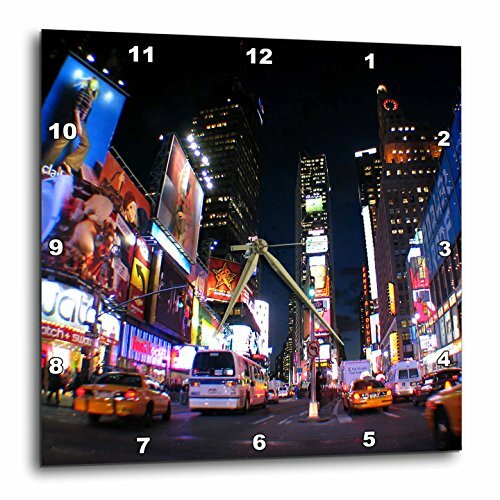 How cool is this Times Square at night wall clock? Perfect to complement your New York City home decor! 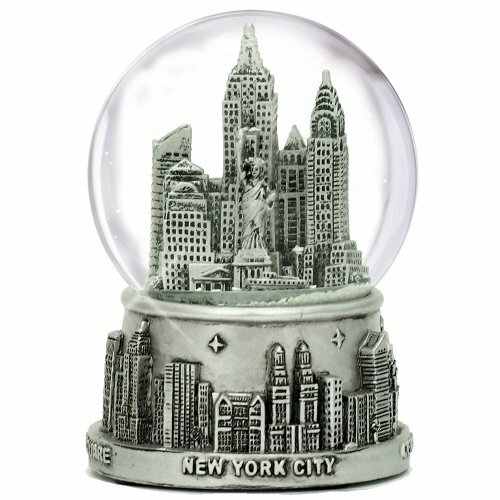 This is a very cool and very beautiful New York city silver snow globe for sale! Perfect to have in your coffee table or bookshelf! Amazing New York Bedroom Decor Idea! How would you like to sleep right ‘above’ New York City’s skyline every night? 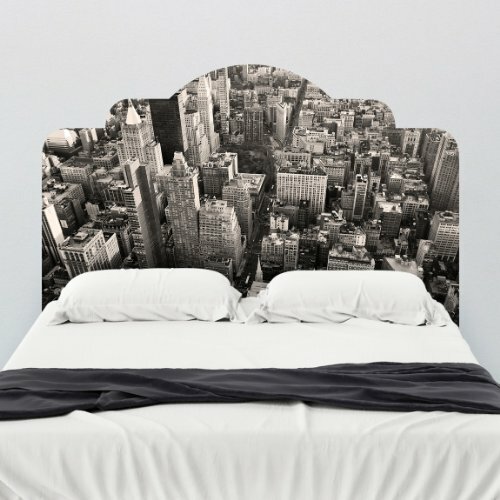 Check out this gorgeous and very creative New York skyline headboard wall decal! 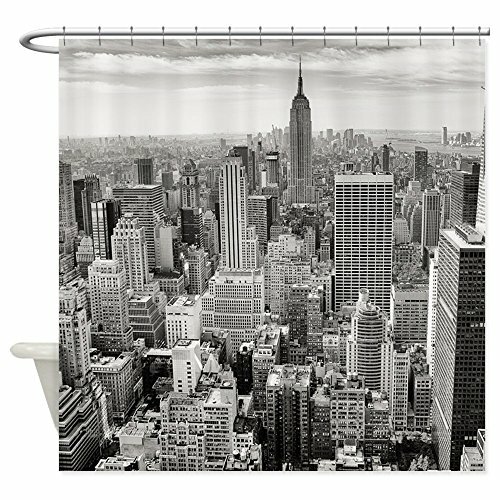 Awesome New York City Skyscrapers Shower Curtain! The best New York decor idea for a bathroom is obviously a beautiful New York City shower curtain! *I hope you enjoyed my New York City decor ideas from this page!